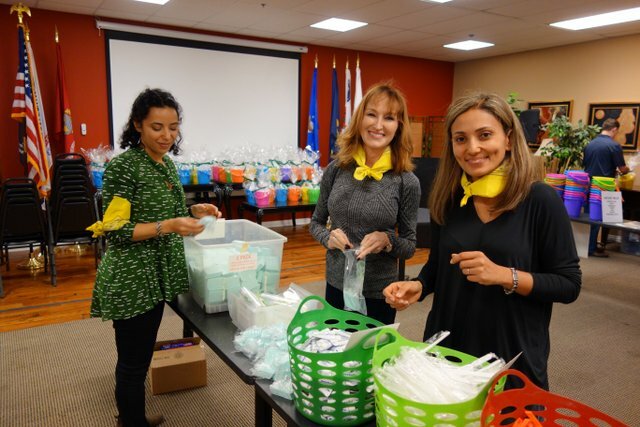 Combine your next corporate team building event with a charitable twist. We believe imagination and play can be educational, too! Give a child in need the gift of a science/STEAM (science, technology, engineering, arts, and math) centered activity kit. 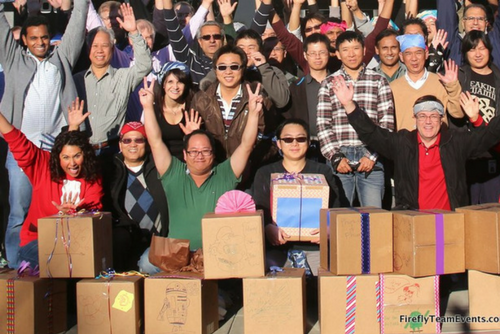 Your team will assemble boxes with items like mini experiment kits and activity books to inspire kids to be a part of the next generation of science, technology, engineering, the arts, and mathematics innovation. Everyone will also have an opportunity to create a personalized card and decorate the kits for each child recipient. We’ve even paired this CSR team experience with our Launch It! Rockets event for past clients to really drive home both the fun and importance of STEAM. To keep it fun and engaging we created challenges that allow teams to earn the supplies. It’s lightly competitive but the overall winners are the recipients of your efforts. Teams have the opportunity to see their donation on a large scale. Care package builds can help create additional meaning within your workforce. Starts at $2750, dependent on group size. Please note: the cost of donation material is in addition to event services. Inquire below for a custom quote!